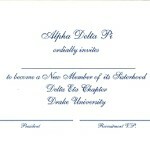 You write your own message and choose font to suit your needs. 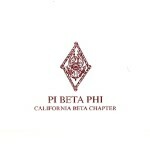 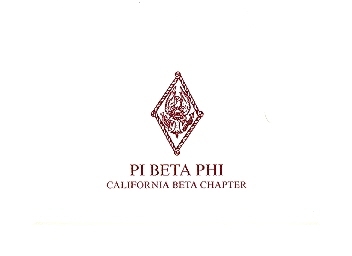 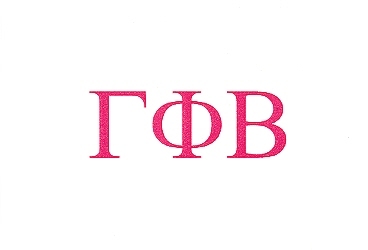 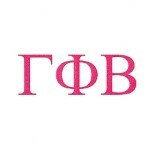 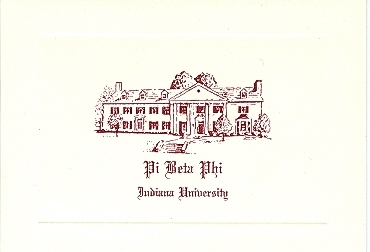 Inside Message Pi Beta Phi, font #5 You choose message and font. 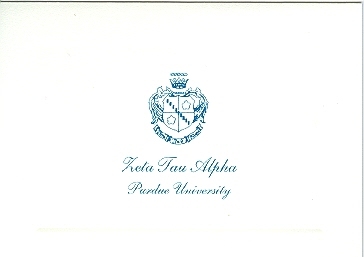 Inside Message, Font #9. 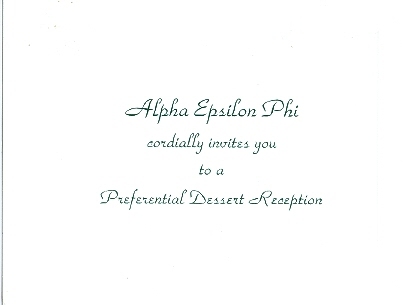 You choose wording and font. 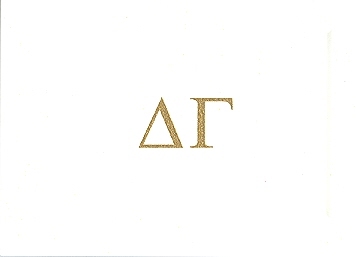 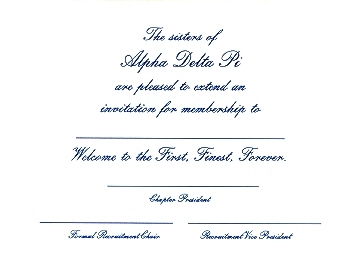 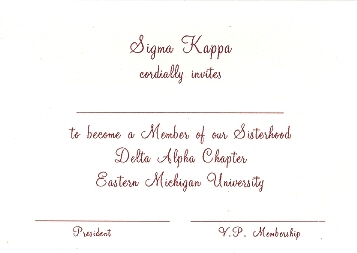 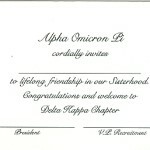 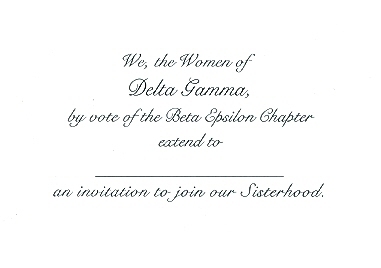 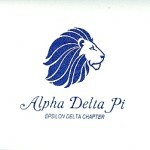 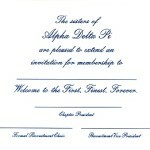 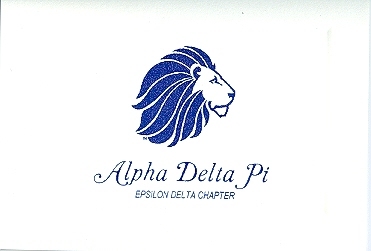 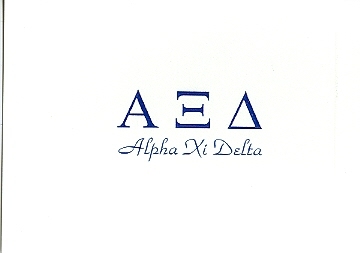 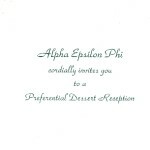 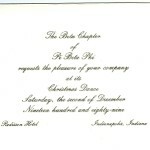 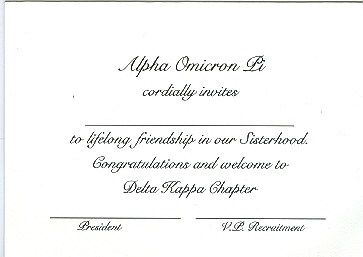 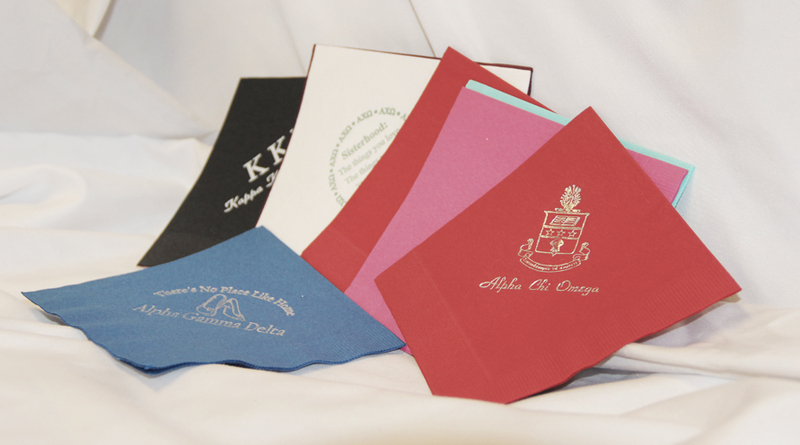 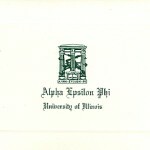 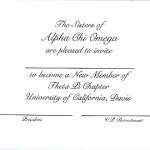 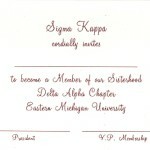 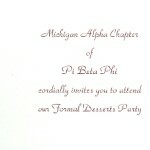 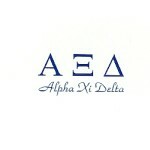 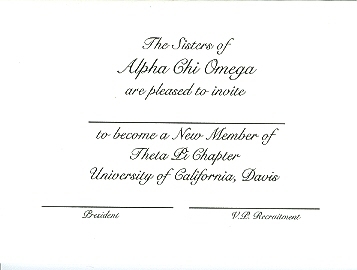 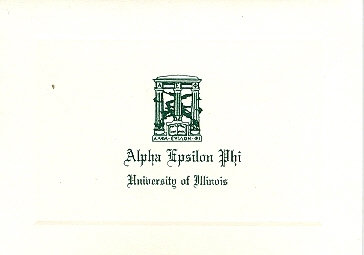 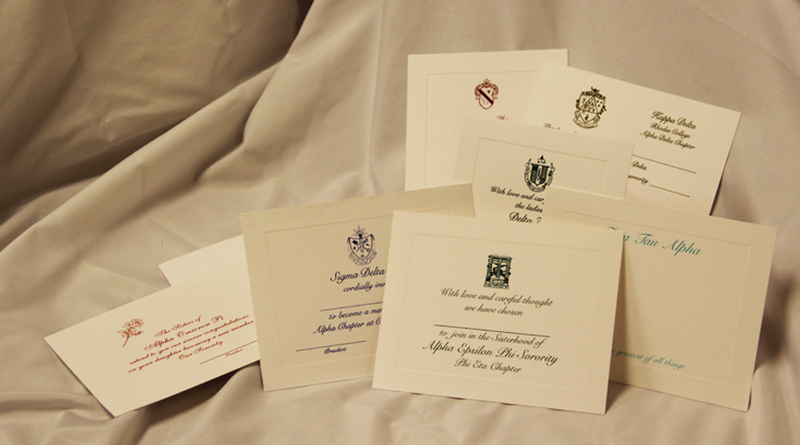 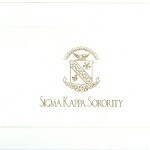 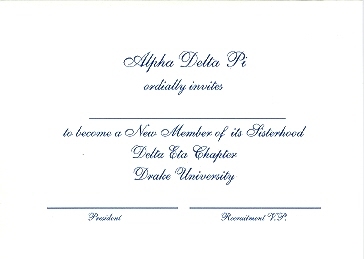 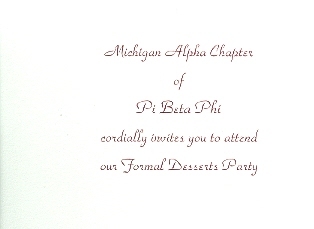 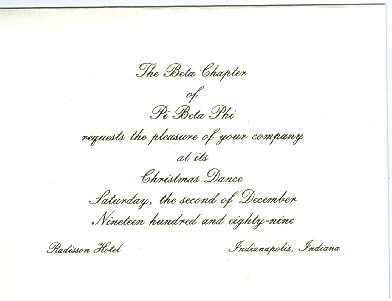 Inside message, green ink, Preference desert invitation, Font #2, Alpha Epsilon Phi, You choose message and font. 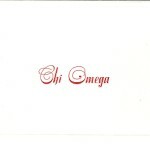 Inside message. 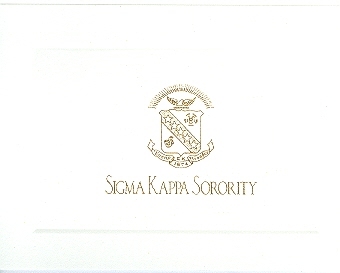 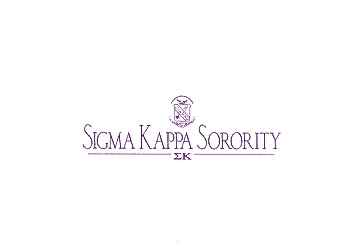 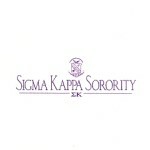 Bid Day Card, Wine Ink, Font #8. 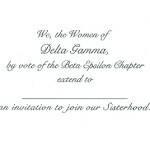 You choose wording and font. 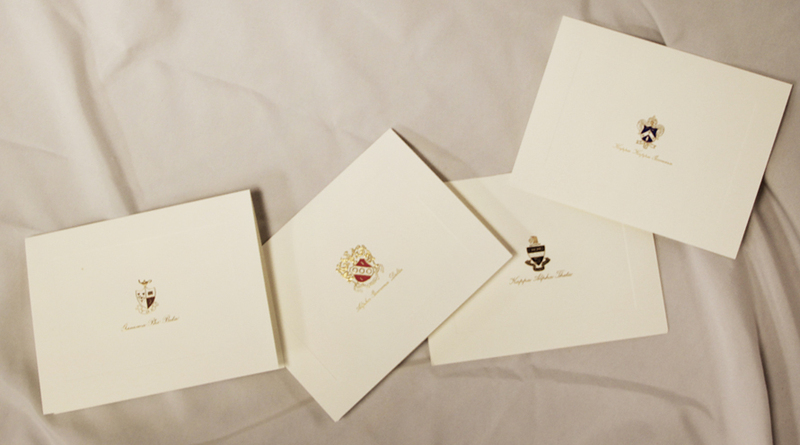 Inside Message. 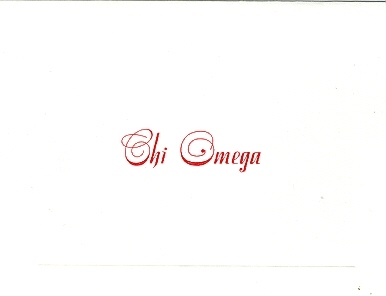 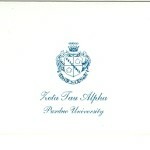 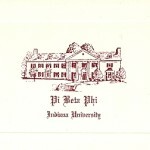 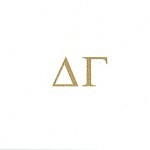 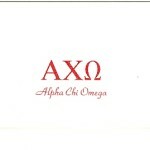 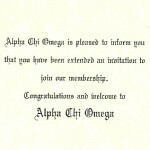 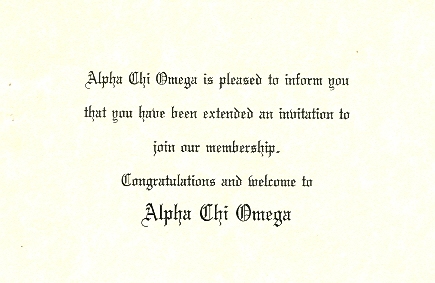 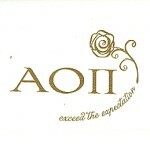 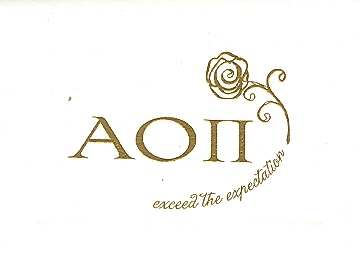 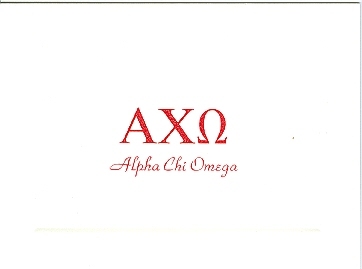 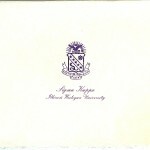 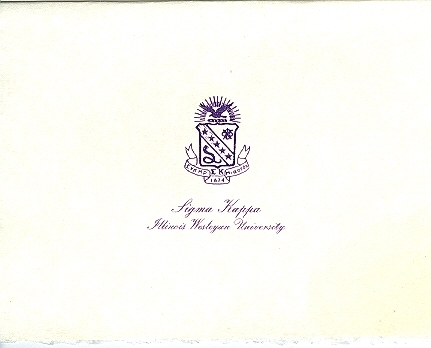 Alpha Omicron Pi bid day card, Font #9. 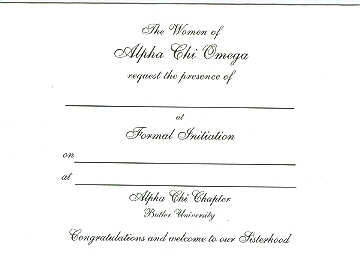 You choose wording and font.